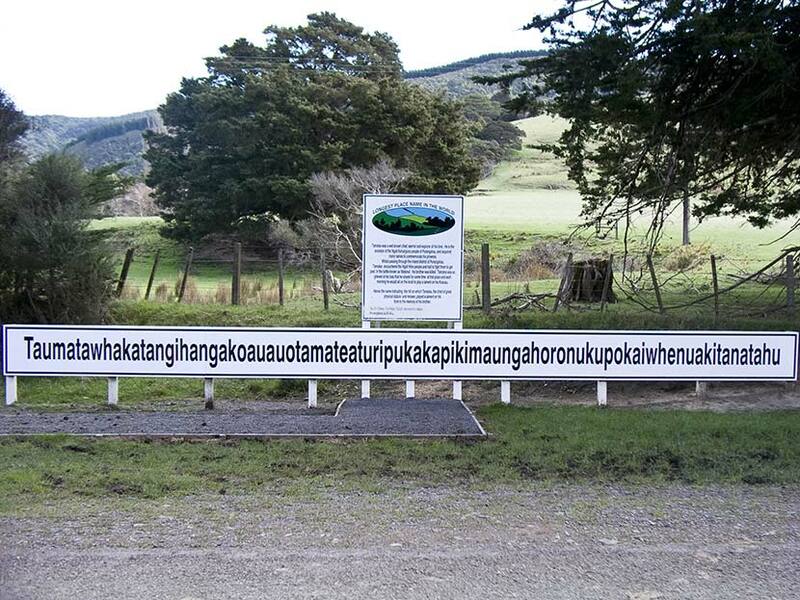 This place name is reputed to be the longest in the world. It means ‘the place where Tamatea, the man with the big knees, who slid, climbed and swallowed mountains, known as landeater, played his flute to his loved one’. It refers to the renowned explorer Tamatea, who played music to his beloved on the hill in the background. Many Māori place names relate events and are in the form of a sentence. Thank you for putting up this cite. Liz Duff.